opportunity to show off our little secret. Excellent quality food, friendly service, flexible and accommodating menu options to suit all tastes. View our collection of wedding table plans and personalise you chosen design to create a unique seating plan for your wedding. We have either a round or square cake stand that are available for your use; with all table linen, napkins, and crockery. Having a Master of Ceremonies present affords you the chance to relax and enjoy the event as much as your guests. We offer complimentary overnight stay in a suite with breakfast for the bride & groom on the wedding night. 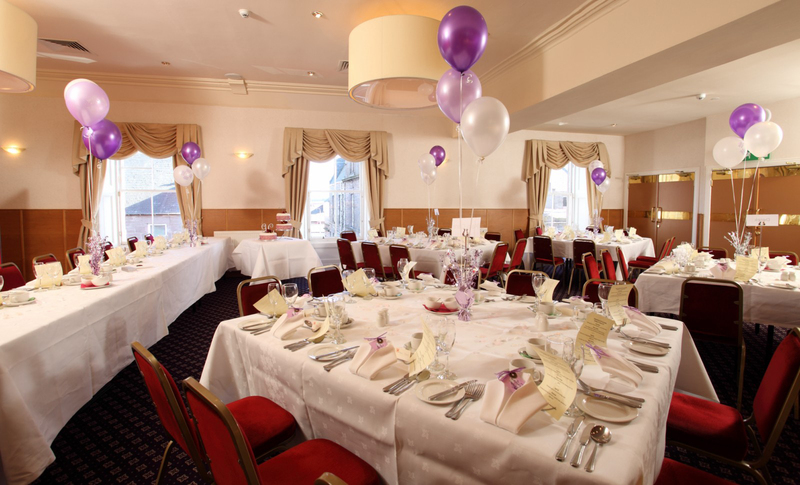 Preferential accommodation rates are on offer to any guests attending your wedding (subject to availability).